It seems like all of us Arkansans are over winter. 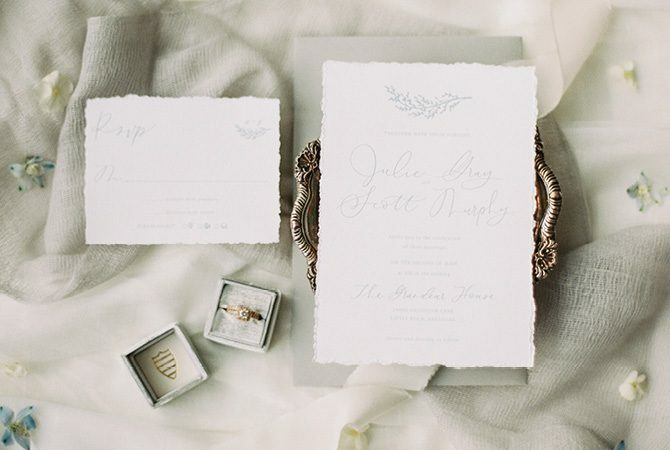 Join us in our wishing for spring with a little wedding inspiration to brighten this cold day! See last week’s inspiration here, & find more seasonal ideas on our Pinterest. We don’t know about you, but we are ready for this winter weather to leave Arkansas. 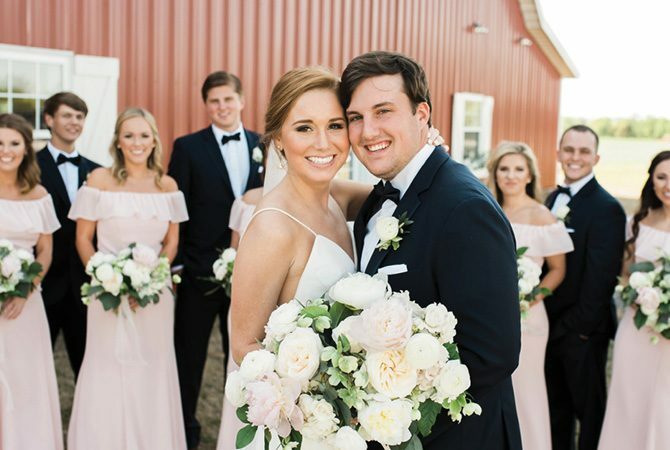 We want sundresses, sweet tea, sunny days– and brightly colored weddings! 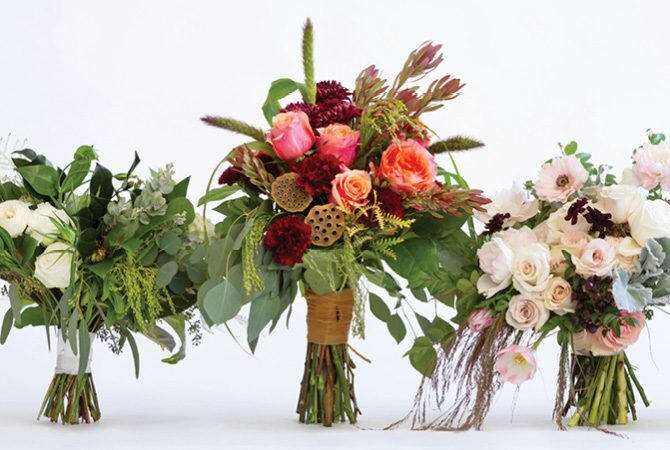 We’ve gathered a little inspiration for warmer weddings as we’re on the brink of spring. Because what is happier than yellow and pink? You can find more seasonal inspiration on our Pinterest. Last week, we brought y’all some early Valentine’s inspiration. Today, we’re bringing you more to celebrate this happy little day of love. 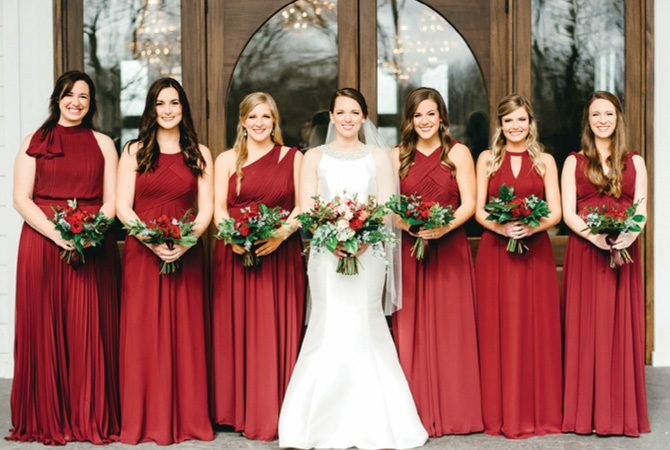 How do you feel about a Valentine’s-themed wedding? We want to know in the comments! Have a lovely Valentine’s Day everyone! We love the blush gowns, sweet flowers and cake toppers. 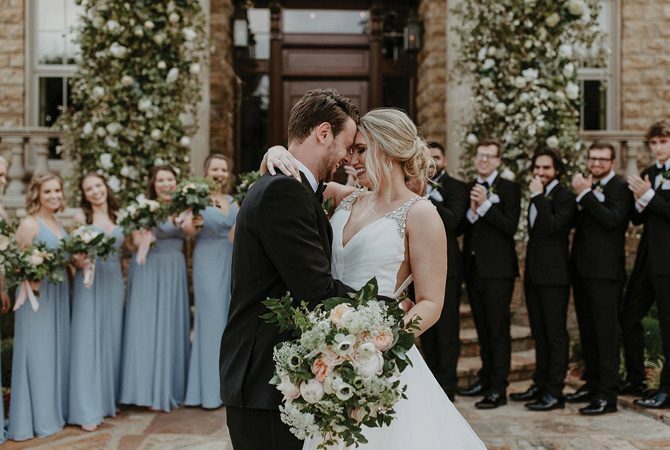 Would you have a Valentine’s Day wedding? What about a pink/red color scheme? Let us know in the comments, and stay tuned for more Valentine’s wedding inspiration next week! 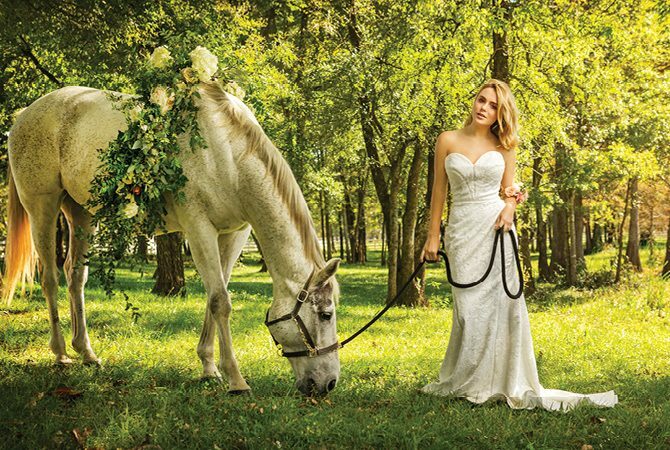 And don’t forget- today is the deadline to submit your real weddings for our spring/summer issue! Please email a link to more than 40 photos along with a brief description to weddings@athomearkansas.com. Happy February y’all! It’s officially the last month of winter in Arkansas. While you may already be looking forward to warmer weather, today we’re embracing the last of the cold season by bringing you some winter wedding inspiration. There’s a natural fairytale-esque element to these weddings– snow covering the trees, pine cones, white fur, silver colors and bouquets. Here’s to hoping for one big snow before the spring! For more visual inspiration, be sure to follow us on Pinterest and Instagram. And don’t forget to submit your real weddings for our spring/summer publication by this Friday, February 7! Please send no more than 40 photos along with a brief description to weddings@athomearkansas.com. We look forward to it! Our favorite photos today favor the transition seasons– autumn with a touch of spring! We love the colors in these photos, from vivid oranges and yellows to soft pink. We hope they brighten your day! Thanks to the photographers for sharing your work with us. Happy Friday! 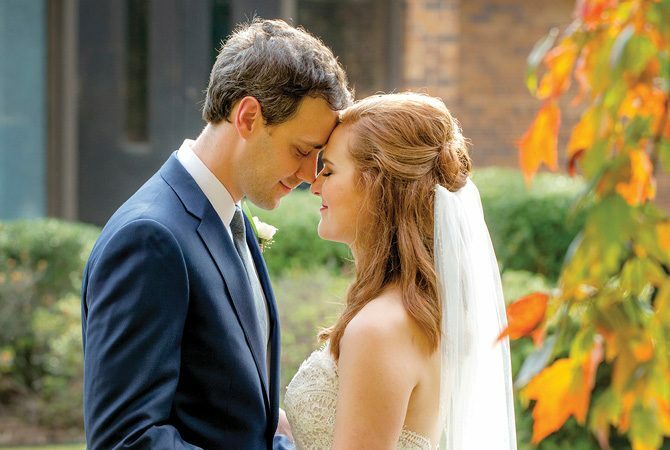 We’re kicking off our 2014 right with some stunning wedding photography. We hope to inspire love and joy in your new year! Thanks to our photographers for letting us feature your work. 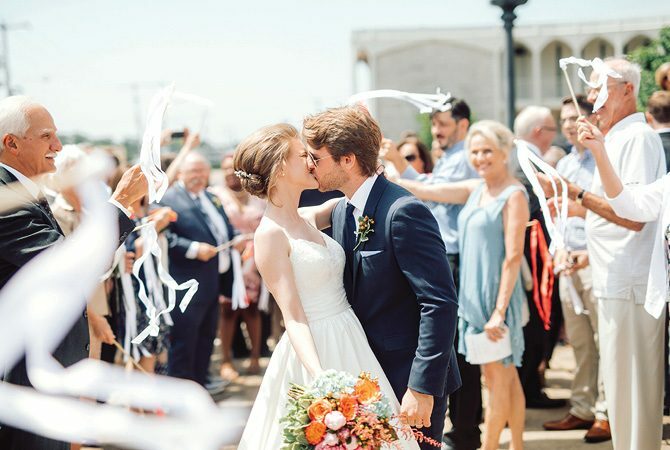 We’re loving these beautiful photos, all with outdoor themes- what perfect weather for special occasions. Happy Friday, everyone! Oh my!! What pretty, romantic images. We love them! Thank you to the photographers for letting us feature your lovely work. Happy Friday!